Banjo wasn't just any dog, or Schnauzer either. 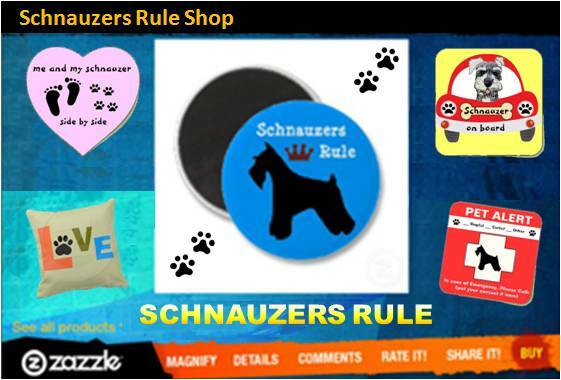 We had a previous Schnauzer whom we loved dearly & was from a private breeder. But Banjo was my baby. He was from a pet store & therefore a puppy mill I guess. This little guy acted like he was of royal bloodlines, took control of our hearts and house. So smart, funny, & playful! We had sixteen & 1/2 wonderful years with Banjo before it became clear that we were keeping him alive for US. We finally had to be fair to him as he was in pain, looked at me like Mommy "Can I rest now.? Reluctantly, we called our long-time Vet and "it's time." We made arrangements for Banjo's remains to be picked up by Faithful Friends in Passing to be cremated so I could still hold him whenever I wished. The Vet put Banjo to his final rest as I held him and whispered words of love and gratitude for his loyal friendship. It's been a year now and I still miss him every day.